February marks the one-year anniversary of Belle Isle operating as Michigan's 102nd state park and also ends the gradual phase-in of the Recreation Passport at the island park. Beginning Sunday, Feb. 1, all vehicles entering Belle Isle will need a Recreation Passport – $11 for vehicles, $5 for motorcycles. The Recreation Passport will provide vehicle entry not only at Belle Isle, but also at other state parks throughout Michigan. 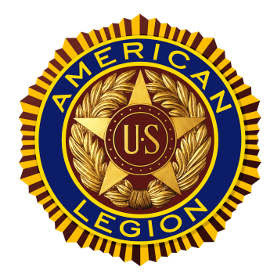 Just a reminder as most students will be heading on holiday break on Friday that the deadline to participate in The American Legion Oratorical Contest for 2015 is Jan 2nd, 2015. Contestants will compete at several levels for scholarship money to be used for college education. A 1st and 2nd place winner at the State level will win $1500 and $800. The state's first place winner will then move on to the National level and compete for $18,000, $16,000, and $14,000 in scholarship money. However, as the student progresses through competition on the National level they will receive $1500 for each level they advance. Ninth to grade 12 students (U.S. citizens and under the age of 20) enrolled in a high school or junior high school or equivalent may compete. The topics will be on one of 4 Constitutional amendments. Since July we have been putting out an important message. That message is to be in the final push mode from the start, rather than waiting until it is too late. That time is almost upon us. All the easy renewals have been received and now the hard part really begins. As Iwrite this, there are 20 posts at 100%. The incentives for 100% posts come to an end on December 31st. Please remember for the Commander to receive the blazer for 100 % membership, the Post Adjutant must submit verification to Department with the size required. The Early Bird Drawing will take place at the Winter Meeting in Flint. Before the worship began, the pastor stepped to the church’s pulpit and asked as he did in previous years that all military veterans stand to be recognized for their service to the country. He said, “We are grateful for your service,” as members of the congregation applauded. What a great gesture. right? Not quite. You see, it was Memorial Day, a time designated to remember those who gave their lives protecting our freedoms. Now, before someone suggests that I’m picking on the clergy, please understand that this same mistake is made by government officials at the highest level, by well-educated university administrators, by newspaper journalists, and by television news commentators every year. What makes it even more concerning and unfortunately, less respectful is that the actual Veterans Day is often forgotten. As we sit with our family and friends to day celebrating the holiday season, please take time to remember our men and women in uniform who, today, will be away from family because of their service to our country. To them we say THANK YOU!!! To the family left behind missing them we say THANK YOU!!! Too because when someone serves, the whole family serves.